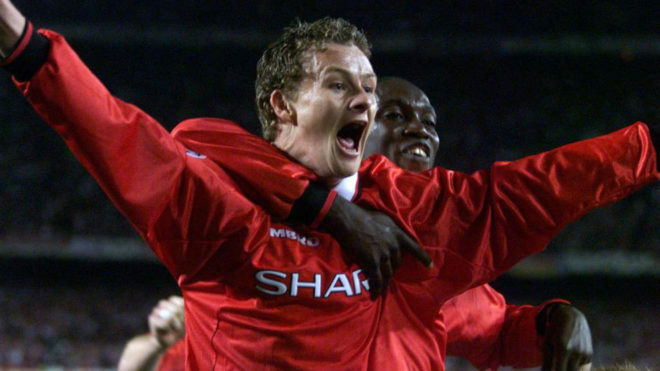 Solskjaer celebrating the goal that won the 1999 Champions League final. In May, it will be the 20th anniversary of one of the most incredible finals in the history of football, which took place at the Camp Nou. Bayern Munich were on the verge of winning the Champions League through Mario Basler‘s strike in the fifth minute, yet two late goals from Manchester United brought the coveted trophy to Old Trafford. Teddy Sheringham levelled things up in the 90th minute, and just 44 seconds after the restart, current United boss Ole Gunnar Solskjaer scored from a corner to send the English supporters into a state of delirium, whilst Bayern‘s players laid on the pitch in disbelief. No one forgets the images of Samuel Kuffour pounding the ground in frustration after the match. “Ninety-nine times out of 100, that would go into the hands of [Oliver] Kahn or on the head of the guy on the line,” Solskjaer said when reminiscing about that goal. There is no doubt that was the Norwegian’s greatest moment as a footballer, and he remembers not going to hug Sheringham after the equalising goal. “I ran straight back to the halfway line because I was concentrating on playing half an hour extra in a Champions League final,” he added. 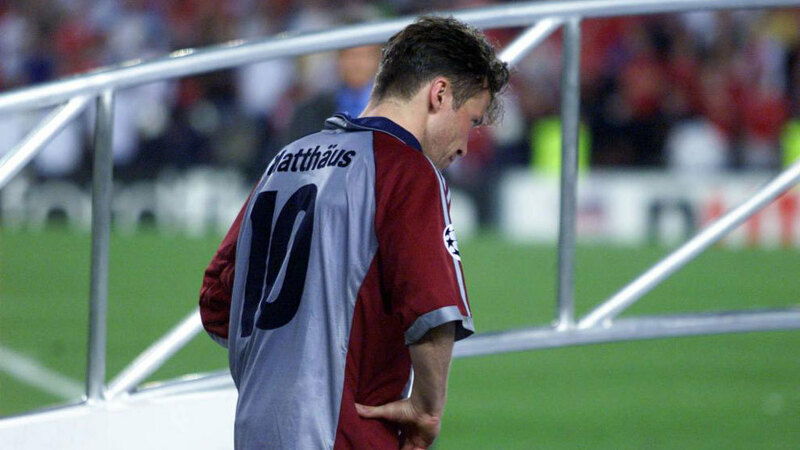 Solskjaer was not the only one who thought about extra time as those who were not included in the matchday squad started to head towards the dressing room in the 90th minute with Bayern leading 1-0. When they heard the celebrations from Sheringham‘s goal, they watched from one of the openings at the Camp Nou. They decided to return to their previous position, thinking the game was going to extra time, and as they climbed the stairs, they heard the roar from the second goal. They could not believe what had happened. On Tuesday night, Solskjaer will return to the Camp Nou, the stage where he became immortalised in the hearts of the Red Devils‘ supporters. It will be a special night for the 46-year-old as he looks to pull of the impossible again, having caused an earthquake throughout Europe after salvaging a shock comeback in the second leg against Paris Saint-Germain in the round of 16, despite having 10 players unavailable. “Nothing is impossible,” Solskjaer repeated several times before the now famous 3-1 victory in Paris. Whilst winning at Barcelona and knocking out the Catalans seems improbable, the Norwegian has something special about him. Just ask Bayern‘s supporters. Barcelona will have to take that into account.